Croup can occur in the adults. It is an upper airway respiratory problem, resulting in coughing and breathing problems. Learn the cause and treatment. An infection of the upper airway which generally affects children and causes obstruction in breathing and a telltale barking cough is referred to as croup. Inflammation around the bronchi or bronchial tubes, trachea or windpipe and larynx or vocal cords is the reason for the cough and other croup symptoms. Young children having ages in between 1 and 3 years old are commonly affected by croup. When the children grow up, their breathing tube becomes wider and firmer. This is why after a child reaches the age of 6 years, the chances of croup decrease. However, children up to the age of 15 can have croup and sometimes even adults can get affected by it too. You should never neglect it! What Are the Symptoms of Croup in Adults? The fall and winter are the seasons in which most cases of croup arise. There is a 15% risk of other members of the family getting croup if one of the family members has fallen prey to it. Adult croup patients usually sense the starting of a respiratory infection of the upper airways during the croup incubation period of two to four days. In this period, a low-grade fever, rhinorrhea and a mild cough are the only symptoms that appear. Later on, inflammation, erythema and exudate are caused because of release of inflammatory factors resulting in cough. The cough of croup resembles the sound made by seals and makes a harsh barking noise. The swelling of the vocal cords might lead to hoarseness because of the cough but swallowing generally remains unaffected. Croup becomes worse at night which might require you to visit the family physician or the emergency department of your nearest hospital late in the night. What Causes Croup in Adults? Croup is most often caused by para influenza virus which is a viral infection. Breathing the infected respiratory droplets sneezed or coughed into the air can cause you to contract the virus. Virus particles present in the air-borne droplets remain potent even if they come in contact with any surface. How Can Adult Croup Be Treated? Although croup cases are usually mild, some of them can become serious, requiring additional treatment. It is important to remain calm while having an episode of croup as you will only make the situation worse by panicking. Using steam from a hot shower or a vaporizer for relieving congestion might be recommended by the physician. If you suspect that you have croup, you should immediately consult with your doctor for best coping measures. How Is Croup in Adults Prevented? As is the case with other viral infections, there remains a risk of passing the infection of croup to others especially if you come in close contact with other people. The preventive measures that are employed for the prevention of common cold and influenza are usually adopted for croup too, as it is also a transmissible respiratory disease. Washing hands regularly and keeping the fingers away from nose and mouth are some of the preventive measure one can take to avoid croup. Any facial tissues which might be infected must be considered an infectious material and should not be handled by others. 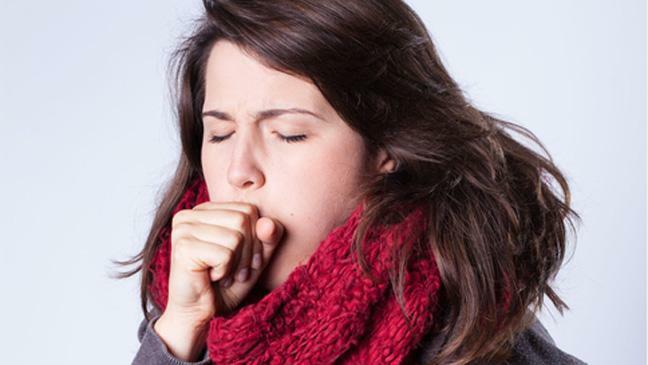 My Chest Hurts When Coughing: Why? Lump in the Neck: Causes, Symptoms, Treatments and More!